First: Implement the Litani irrigation, drying, drinking water and electricity projects. Second: Establish a network linking up power stations in Lebanon. Third: Establish electrical substations and distribution lines in all the Lebanese regions. 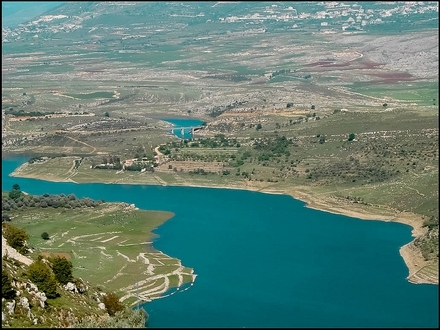 The Litani River Authority was also considered to be a public institution with an administrative and financial personality and autonomy. - Examine, manage and exploit the irrigation water in Central and Northern Bekaa, including the Yammouneh and Wadi Massa-Yahfoufa project. - Study and implement the project of diverting the Hasbani River and the Wazzani spring (The Lebanese part of the Arab project of diverting the tributaries of the Jordan River). - Study and implement some mountain lakes like the Kawashira lake in Akkar, the Kfarhouna lake in Jezzine and the Ballout lake in Northern Metn. - Study and scan the locations of dams in the northern Lebanese rivers. - Study the blueprint of the agriculture water plan for South Lebanon in collaboration with the Food and Agriculture Organization (FAO). - Conduct studies on the construction of the Bisri dam along the Awali River. © 2019 Official Website of the Litani River Authority.